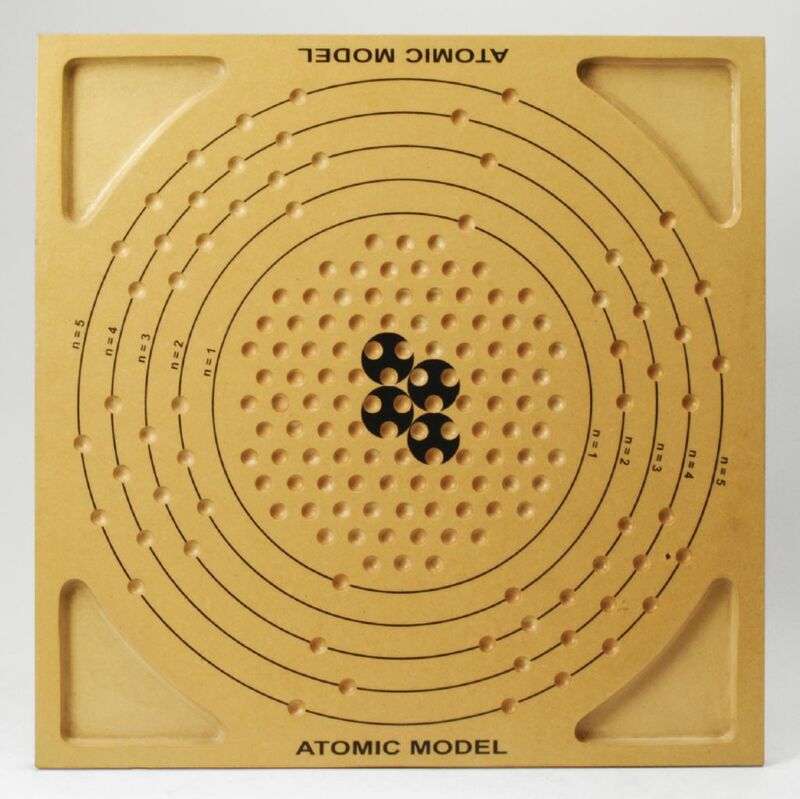 With the Atomic Structure Apparatus, a large manipulative helps students visualize atomic structure. Marbles transform into protons, neutrons, and electrons that work for a variety of demonstrations. Using these representative marbles, students can construct all atoms up to Xenon, make ions, and properly fill in the electrons in the atomic orbitals. Educators can use additional marbles, which represent multiple neutrons and protons, to explain what happens in the nucleus of radioactive atoms when they go through decay cycles. 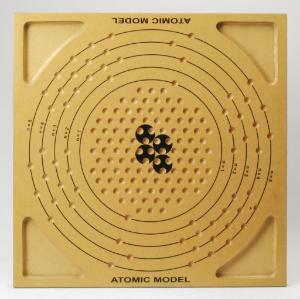 Ordering information: This kit includes the atomic board, marbles, activity cards, and a teacher's manual.